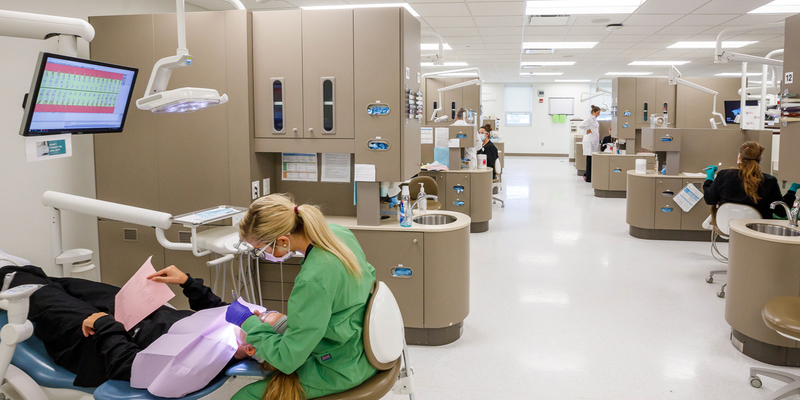 Indiana University South Bend's Dental Hygiene Clinic is open to the public and provides preventive dental services 10 months out of the year from September until June. Appointments are required and all services are provided by students in the dental hygiene program. Students are overseen by licensed dentists and registered dental hygienists in the state of Indiana. Appointments are required and limited. Clinic hours vary each semester according to student schedules. Not all patients can be treated in the dental hygiene clinic. Patients requiring specialized care, with complex medical histories, or rigid time requirements may not be able to be seen. Please call (574) 520-4156 or email dhclinic@iusb.edu for an appointment! We'd love to see your smile!